The following is a very exciting announcement from the MusicPLN.org (The Music Educators Professional Learning Network -MPLN). 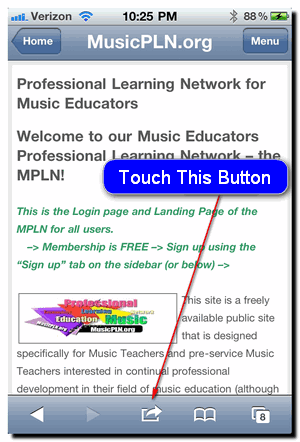 The MPLN is a freely available Website for Music Educators and Pre-Service Music Educators. The MPLN is free to join, but you MUST be a member to view and participate in the amazing ongoing discussions there… Consider signing up today and view 1000s of posts in our groups and forums. 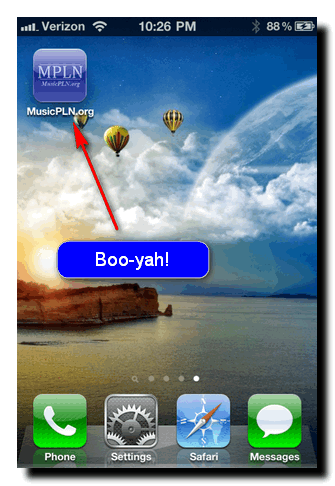 We are very excited to announce that the MusicPLN site has gone mobile! There has been a new mobile developed for our site and is available for the iPhone and Android style smart phones. This mobile site will make the most-used parts of the MPLN more easy to utilize in the smaller platforms. …and that is “the magic”! 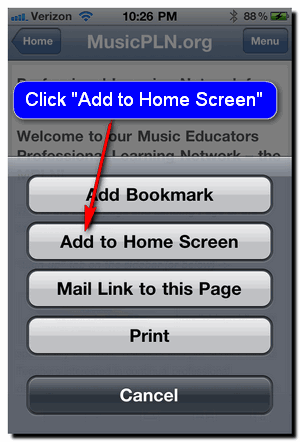 We hope that you all will enjoy this incredible new feature of the MPLN! Not everything will be available in the mobile version of the MPLN. In addition, be sure to check the “menu” button in the upper-right of the mobile version for quick access to all of the site’s features and pages. Also, as with anything that is custom programmed, there may be some small-issues along the way. We will be adding a feature in the very near future that will allow mobile users to also choose between the full version and mobile version of the MPLN. Great things ahead for the MPLN! This is a MPLN customized version of the BuddyPress Mobile Plugin developed by @modemlooper – without his dedication to BuddyPress and WordPress this feature would not be possible.